Lush Fab Glam Inspired Lifestyle For The Modern Woman: First Lady Fashion Meets Royal Fashion! First Lady Fashion Meets Royal Fashion! 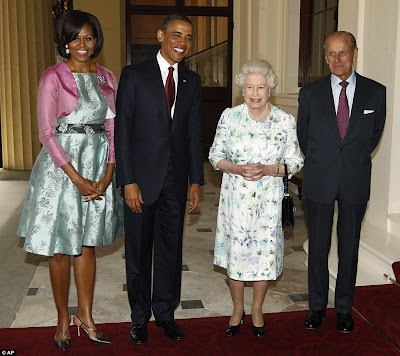 ﻿First Lady Fashion Meets Royal Fashion! 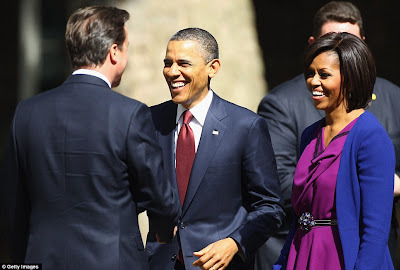 During her last visit to London, First Lady Michelle Obama wowed the Brits with her fashion choices. This time around the President and First Lady are once again in London but there is a new addition to the royal family, Kate Middleton who's making her own fashion mark. Take a look at the styles worn by Michelle Obama and the British royal family during their state visit. First Lady Michelle Obama with the newlywed Kate Middleton-Duchess of Cambridge. First Lady Michelle Obama with the Dutchess of Cornwall-Camilla. The Obamas with Queen Elizabeth and her husband Prince Phillip. Michelle looks gorgeous she's showing them how to wear color. I'm now not sure the place you are getting your info, however great topic. I must spend a while learning much more or figuring out more. Thank you for wonderful information I used to be looking for this info for my mission.